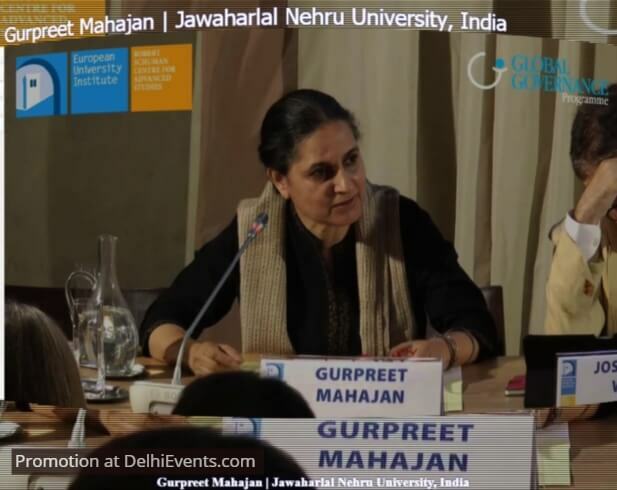 Event Description : The India Harmony Foundation presents 'Plural and Diverse : Basic Structure in the Constituent Assembly Debates' an illustrated lecture and audience interaction by Dr. Gurpreet Mahajan (Professor, Centre for Political Studies, Jawaharlal Nehru University, New Delhi). The principal objective of The India Harmony Foundation is to bridge and create an understanding between diverse communities of India. It celebrates the plural culture that has emerged in modern India making us ONE NATION AND ONE SOCIETY.. It achieves this through showcasing our common culture through theatre, poetry, dance and music shows, seminars, interactive lectures, art shows, food festivals, publications and a quarterly journal for parliamentarians. They conduct harmony walks across the country. In the past 10 years, since its inception, IHF has met with widespread appreciation and acclaim. It pays tribute to Mahatma Gandhi in the 150th year of his birth and seeks to throw light on the constituent assembly debates that contributed to making India the vibrant democracy it is today.